​Heightened regulation, margin compression, declining use of branch networks, competition from internet start-ups -- those in financial services know that they need to embrace new ways of thinking. But where should financial institutions head? Too often, financial services firms have innovated within product silos that reflect how these firms are typically structured, and experimentation with valuable brands and legacy products is viewed as risky. This approach is unlikely to yield sustained, meaningful innovation. There is an alternative. 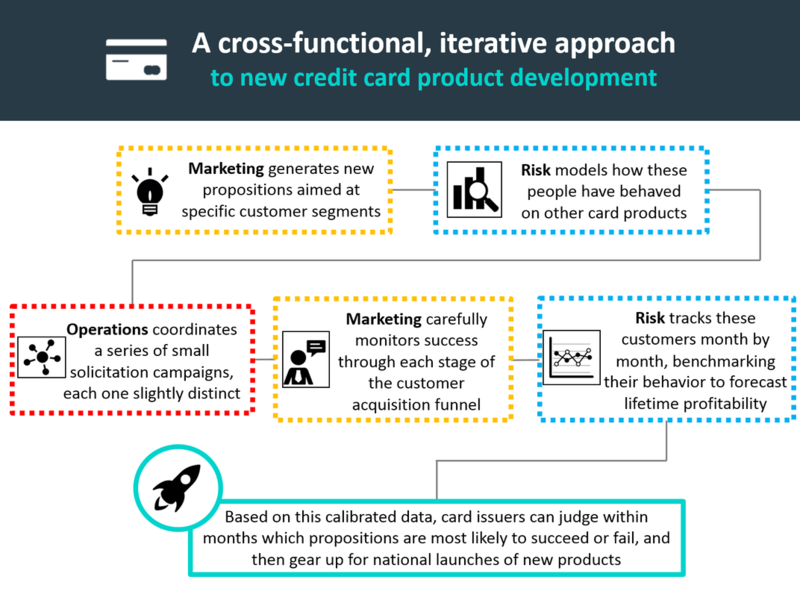 For instance, a credit card issuer embraces a different model -- one that is cross-functional, scientific, and highly transparent to monitoring by senior management. ​This model is used in countless other industries to nurture and test new ideas at speed. As much as they can benefit from new ideas to grow their markets, many financial services firms can also utilize a disciplined process that makes innovation reliable without extinguishing creative sparks. New Markets helps our clients bring proven, rigorous innovation processes into the financial services realm, while still being mindful of the unique regulatory and risk-related constraints of the industry. One of the largest banks in Africa was losing its small business customers to regional competitors. These competitors did not offer a large range of services, but the offerings they did have were inexpensive and intuitive. The bank wanted to redefine how small businesses interacted with financial services, perhaps helping them in ways that banks traditionally had not done before. To determine what that relationship might look like, New Markets Advisors used Jobs to be Done research to deeply understand small business owners -- what they spent too much time on, what kept them up at night, and what made them happiest at work. Then we connected these insights into business plans where the bank had a right to win. What jobs do small business owners have? The research found that many small business owners struggled with the same basic tasks, such as finding capital, keeping up with their accounting, and handling repetitive administrative chores. This was different from what the bank thought small businesses wanted -- over the last decade, the bank had built out extensive financial advisory programs and other high-end offerings, instead of focusing on the nuts and bolts. Drawing upon these research insights, New Markets helped the bank build strong and dependable offerings that were unique to its market and which made small business owners’ lives easier, such as assisted payroll plans for employees and financing programs designed for small businesses.